The prospect of an Italian budget deficit of 2.4% of GDP has unleashed extraordinarily strong adverse comment by EU officials and politicians, from Draghi to Juncker, from Dombrovskys to Mattarella, to former ministers like Moscovici and Berlusconi (of all people!) who in their days in government have been among the worst offenders of EU austerity constraints: they actually claimed that the very existence of the Euro was under threat. They should have remained silent at least until greater details of the budget were unveiled, in order not to cause the market upset and rise in the spread between the yield on Italian and German bonds, that they ostensibly feared but in truth whipped up and welcomed with great enthusiasm. They were aided and abetted by the media hysteria of Italian and European press and television; deputy premier Di Maio rightly spoke of “media terrorism”. Concern was generally expressed about the sustainability of Italian debt, presumed to be reversing its recent course of slow but steady decline as a proportion of GDP. Yet the arithmetic of Debt/GDP ratio evolution over time is very simple and well known, and in no way justifies concerns for a budget deficit of 2.4%, nowhere near the sustainability limits. The point has been made only by Senator Alberto Bagnai, president of the 6th permanent Commission for Finances of the Italian Senate, in various posts on his blog http://goofynomics.blogspot.com/, and is well worth a reminder. where d(t-1) is the debt/GDP ratio at the end of the previous year (t -1), and g is the nominal growth rate of GDP in period t. A budget balance lower than f* will necessarily involve a decline of the Debt/GDP ratio in the course of the same year t. This is not a controversial theory, nor rocket science or high mathematics, it is an incontrovertible relationship of simple arithmetic. To calculate this critical magnitude of the budget balance that will stabilise the debt/GDP ratio in 2019, we need two values, both unknown in 2018 (i.e. today): the value of the debt/GDP ratio at end-year 2018, and the nominal growth rate in 2019. The IMF estimates that Italy’s Debt/GDP ratio at the end of 2018 will be 129.7% of GDP, while GDP nominal growth in 2019 would be 2.5%, made up of 1.13% growth, and about 1.4% inflation (IMF World Economic Outlook, April 2018). Subsequent updates lowered real growth by about one-tenth of a percent. Thus we can assume conservatively a 2019 real growth of 1% and 1.4% inflation, i.e. a nominal growth rate of 2.4%. (more precisely, 3.0398 i.e. almost 3.04%). The prospect of a 2.4% budget deficit amply satisfies this constraint, leaving considerable room for contingencies; as it happens, the 2.4% deficit target also happens to amply satisfy the Maastricht ceiling for the budget deficit (which no one proposed to violate). Indeed a deficit rise with respect to the level embodied in earlier growth estimates is bound to raise nominal growth as well above earlier estimates, something that Ministers Tria and Savona were quick to point out, but this is a minor additional argument in favour of current policies, with respect to the powerful implications of 2.4%<f*. Loose and reckless talk is unbecoming of respectable officials and reporters. Regardless of whether it is due to incompetence or malice, it breeds distrust and contempt, though fortunately it also, in the end, raises popular support for the government. Labels: Bagnai. Juncker, Berlusconi, Dombrovskys, Draghi, Italian Debt, Mattarella, Savona, sustainability conditions, Tria. These automatic processes are: in the short-term, for a given level of production, the Walrasian adjustment of prices to any positive or negative excess demand; in the medium-term, when production levels can vary, the Marshallian adjustment of enterprise output to price relatively to its marginal cost; as well as the transmission to other sectors of the inputs requirements corresponding to their output change (activating what Goodwin 1949 calls “the multiplier as matrix”). In the longer term, when productive capacity can vary, there is a gradual adjustment of the actual capital stock to the level desired by enterprises in consideration of the demand level they experience - an upwards adjustment via investment in new capital or downwards through the non-replacement of excess capital. These adjustment processes are rooted in the maximisation of profit on the part of enterprises operating in a system of markets, whose owners appropriate profit to their own advantage. And we need to stress that these adjustment mechanisms auto-regulate production, prices, intersectoral transactions and productive capacity but naturally they do not regulate themselves as institutions (in a process that would amount to “autopoiesis”); thus their creation, regulation and guarantee remain fundamental functions of the state even in a fully de-centralised market economy. This kind of logic is less cogent and much more controversial in the case of financial markets. Financial intermediation creates value by modifying the size, time horizon and riskiness of assets demand and supply, but their continuous operation is associated to phenomena of both euphoria and panic. Financial markets contribute to economic growth at the cost of a greater vulnerability and potential instability. Keynes believed that financial investment should be indissoluble like marriage (or better, we should say that investment divorce should be equally costly and traumatic). Derivative products, whose value depends on the value of underlying assets, which they amplify and multiply, can contribute to the increase of total risk instead of its distribution among a large number of agents. This is why Buiter (2009) proposed to reserve derivatives transactions to agents who could justify them on the basis of an underlying insurable interest. 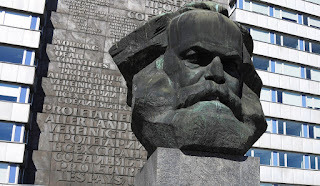 For Marx labour acting over nature leads to the development of production forces (natural resources, accumulation of physical and human capital, the state of technical knowledge). This development leads to the emergence of contradictions between the productive potential of society and the prevailing production relations (e.g. rules about ownership, production organisation, etcetera). Production relations then are modified as a result, in such a way as to eliminate such contradictions, realising the “law of the necessary correspondence of production relations to the character of productive forces” (Lange, 1963, ch. 2). Current assessments of where modern capitalism is going vary greatly, probably more today than ever before. In the previous post we considered (and rejected) John Kay’s idea that capitalism has been transformed so radically by the internet and associated developments that it was tamed and turned into a non-antagonistic stakeholders’ paradise which we should stop calling capitalism altogether. A somewhat different conclusion is drawn from similar premises by John Mason (PostCapitalism - A Guide to Our Future, Allen Lane, London 2015), predicting not so much the taming of capitalism but its collapse, replaced by a world of plentiful free digital goods. Mason argues that new technologies such as internet and the rise of the digital economy “are not compatible with capitalism … Once capitalism can no longer adapt to technological change, PostCapitalism becomes necessary... in short: ... capitalism is a complex, adaptive system which has reached the limits of its capacity to adapt” (for a positive review see Donald Gillies 2015). Many consumption goods - all the media, literature, musical scores and recordings, photographs, films, television programmes, reproductions of works of art – and production goods such as software, are digital products, whose equilibrium price cannot exceed their cost of reproduction which is zero or near-zero. Mason argues that “The rise of information goods challenges marginalism at its very foundations because its basic assumption was scarcity, and information is abundant. Walras, for example, was categoric: ‘There are no products that can be multiplied without limit. All things which form part of social wealth … exist only in limited quantities’” (p. 163). Gillies notes that “these areas of capitalism now being eroded are precisely the ones in which great capitalist fortunes were made in the 1980s and 1990s”, by owners of software companies and by media tycoons. In theory financing the production of digital goods could be achieved by advertising or by strict enforcement of legal protection of intellectual property, but both methods have limited effectiveness, the first because of its limited size and the second because of widespread piracy. Alternatively, the production of digital goods could be organised “in a decentralized and collaborative way” like Wikipedia, “utilizing neither the market nor management hierarchy” (Mason, p. 129). Gillies argues that, if groups of workers are going to be paid to produce digital goods, they cannot be paid by the private sector and therefore would have to be paid a wage by the state: PostCapitalism would be a form of socialism, not a traditional bureaucratic and authoritarian socialism but a more egalitarian and libertarian, “networked” version. Gillies expects that the new socialism will be international, and that the same rise of the digital economy that brought about a decline of capitalism “clearly favours the left in politics”. But there is a more trivial, brutal solution to the effects of the digital economy, namely one in which digital goods, constrained by a zero reproduction cost and price, will only be produced in a much reduced scale within the bounds of voluntary selfless generosity, limited advertising income and ineffective protection of intellectual property. A somewhat impoverished world and a largely unchanged system would be the unattractive but more probable outcome. The digital economy rests on the continued real production of physical goods and their exchange, driven by ordinary markets just as much as any “earlier” capitalist form. Reports of capitalist collapse have been much exaggerated. “I wish we would stop using the word Capitalism”, writes John Kay of Oxford University, in a recent post entitled Moving Beyond “Capitalism”. Kay reminds us that, in nineteenth century British capitalism, enterprises and large companies were in the hands of owners-entrepreneurs; in the twentieth century in England and the United States the role of entrepreneurs was delegated to professional managers, already in family enterprises and especially on behalf of a multitude of shareholders. More recently the role of shareholders was taken over mostly by pension funds, by insurance companies and mutual funds, whose investments are handled by professionals specialized in managing their portfolios. After the last War firms become international and multinational, manage many plants in different countries and operate in a global economy that frees them of many domestic constraints, giving it access to mobility of capital and labour, of goods and services. The enterprise is "empty" (generating the hollow company), in the sense of transforming itself into a network of relationships, with a fragmented division of labour worldwide governed by intermediaries organized by markets, rather than by hierarchies as in the enterprise model developed by Ronald Coase in 1937. (Coase had asked why production was organised in firms instead of being conducted by self-employed individuals entering market relations, and why was production not organised in a single giant firm. He found the answer in the transaction costs of market relations versus those of centralised direction by an entrepreneur). The capitalization of a large company depends on the value of these relationships, which is particularly illiquid: the relationships as such or the brand that represents them cannot be transferred to others without losing much if not all of their value. For this reason the shares of these companies tend to end up in the hands of their managers, as well as of their employees. These companies need a stock exchange listing initially to allow the founders to realize the value they added to their capital, and to reassure shareholders on the value and above all the liquidity of their shares, but otherwise are not financed by the capital market but mostly through reinvesting their profits. A certain fragility derives from this set up, but also a certain resilience, i.e. the ability' to survive a bad management even if their own capital is used inefficiently. According to Kay the enterprise of the twenty-first century - and therefore today's new capitalism - would no longer involve a confrontational relationship between capital and labor, but rather a partnership, an inclusive relationship that merges the interests of managers and employees, of suppliers and customers, while the position of investors is secondary and precarious. A stakeholders’ paradise, we might call it. Kay expects that such inclusive character of enterprises should discourage selfish rent-seeking behavior and maintain cohesion, without endangering the company’s external legitimacy through the misuse of the political process, reaffirming their character as social organizations embedded in communities. The theory that shareholders are not the owners of their company is an old hobby horse of John Kay, oblivious to considerations that shareholders who disagree with managerial decisions can always vote for the liquidation of the company, sell the shares to anyone with an alternative vision of how make it more profitable, or simply sell the shares in the stock exchange depressing their price thus making it easier for potential bidders to take over the company. Robin Marris (1964) tried to build a theory of "Managerial" Capitalism, in which professional managers sacrifice part of the shareholders’ value (the maximisation of profit and of capital valuation relatively to capital employed), in favour of higher growth of company turnover, capital and employment, which benefits managers directly and indirectly through their remuneration, social prestige and promotion opportunities. However this profitability reduction is constrained, in Marris’ theory, by the danger that the failure to maximise the stock exchange valuation of the company might induce an investor or an alternative managerial team to attempt a takeover bid, which if successful would bring about the dismissal of managers and the rise of profitability also in the interest of all other shareholders. Paradoxically therefore Marris’ attempt to theorise the alleged specific difference of Managerial Capitalism led him to confirm its traditional textbook behaviour. As for the model of the modern enterprise as a network of relationships mediated by markets instead of a centralised command hierarchy, it is easy to understand its greater fragility but not its alleged more inclusive and less confrontational character. On the contrary, the fragmentation of the productive process and the fierce competition among global workers can only intensify conflicts between capital and labour, as confirmed by the continuous decrease of the labour share in national income worldwide. The capitalist evolution outlined by Kay does not alter at all the system’s tendencies towards labour unemployment and unused capacity, economic fluctuations and crises, rising inequality of income and wealth. “Moving Beyond Capitalism?” No, Back To The Future. On the evolution of corporations in modern capitalism see also John Kenneth Galbraith’s The New Industrial State (1967) and especially the excellent Foreword by James Galbraith to the 2007 reprint of the book (Princeton University Press, https://press.princeton.edu/titles/8389.html). Robin Marris (1964), The Economic Theory of ‘Managerial’ Capitalism, London, Macmillan. Note: An Italian translation of this post (not revised by the author) has been published by vocidallestero.it , I am grateful to them and to the many readers who twitted and ri-twitted this post, as well as those who expressed their support on Facebook (where I have an account that I do not manage well). All this gave this post an extraordinary diffusion. Thanks also to all those who offered comments: I would rather readers commented directly on the Blog rather than to me via e-mail, in which case I might post their comments under initials or a made-up pseudonym or ask for their permission to enter their name (DMN) . Indro Montanelli (1909-2001), the prestigious Italian journalist and writer, on many occasions expressed great contempt for Silvio Berlusconi, his character and politics. Yet in 2001 Montanelli declared in an interview: “I want him to win, I make vows and give pledges to the Madonna for him to win, so that Italians will see who this man is. Berlusconi is a disease that is cured only by vaccination, with a good injection of Berlusconi in government [a Palazzo Chigi]; Berlusconi as President of Italy [al Quirinale], Berlusconi wherever he wants to be, Berlusconi at the Vatican. Only afterwards will we be immune. The immunity that is obtained through vaccination” (La Repubblica, 26 March 2001). In the 13 May 2001 elections the first part of Montanelli’s wishes came true: Berlusconi and his allies obtained an absolute majority in both Houses of Parliament. Montanelli should have been more careful what he wished for. His verdict on the man was correct: the lower and the appeal courts in Milan in 2012 and 2013 convicted Berlusconi of fiscal fraud. The four year sentence was later reduced to one year and three months, which he never served by virtue of being over 70, but deprived him of political rights for two years until 2019. "He is the most sincere liar I know, for he is the first to believe in his own lies”, Montanelli had said; he got away with a gigantic conflict of interest (with the complicity of the Left); Marco Travaglio, B. come Basta, Paperfirst, 2018, recounts how he run the country. But otherwise Montanelli had been utterly and tragically wrong: the Italian electorate, who had already a short exposure to Berlusconi in 1994-95 and repeated large doses of vaccine with his governments in 2001-05 and 2008-11, still seems inclined to make his coalition the favourite to win the elections of 4 March 2018. Despite Montanelli's mistaken prognosis and cure, I venture a similar wish, though in different circumstances, with respect to other parties and for different reasons. At present there is a false, self-styled social-democratic Left, justifying itself by pretending to defend the interests of working people while destroying their life chances with their hyper-liberal, austerian and globalist policies, promoting no-border movements of capital and labour, de-regulation, privatisation, the destruction of the welfare state and unprecedented inequality of income and wealth. Inevitably a two steps (at least) process is required to get rid of this false Left and open the Left again to being the representative of working people, of fairness, of the admittance of workers' organisations into governance, of preventing falling wages and mass unemployment, of strengthening the welfare state in all its manifestations, from education to decent health and pensions as well as its current, defective, merely safety-net functions. If this analysis is correct, Italian socialists and socialdemocrats should vote for the centre-Right, from Noi con Italia-UDC, to Lega, to Forza Italia. They are going to win anyway this time. It is better that they should win well, preventing any attempt by the state to put the country through the repellent mess Napolitano concocted in 2011 and 2013, that has led to five years of illicit and incompetent governance and to the collapse of a proper Left position and Party. If the Centre-Right governs well then the Left will have breathing space to construct a proper programme, a democratic Party structure, and consolidate its electorate. They must at least step back from the caricature of the Left of Grasso, Boldrini, and old men like Bersani. And get rid of all the contemptible collusion in corruption from Rignano sull’Arno and Laterina. The Centre-Right might govern well, for many of the programme elements proposed by the current Centre-Right coalition should be in a programme of the Left: lower taxes on earned income; controls on economic immigration into Italy; new relations with the EU; a revision of Eurozone regulation and management; easing of regulation destructive of providing housing; security at home; defence of Italian interests at international level, etc., etc. Indeed it is a shame that these issues are not part of the Left manifesto, or indeed of the so-called Lefts' many manifestos. A reshuffling of voters characterised by these values should be pursued and implemented, which is very different from an unholy Grosse Koalition of opposite approaches and interests held together exclusively by the pursuit of and for the maintenance of political power against democratic processes. And if the Centre-Right fails to deliver then we return to vote again (which I believe we will) but this time, with the second step, the second consultation of the people, we can hope to have a real Left to vote for. The 'Progressive' class and national traitors can stand on their own platform, and not as the pretend Left that is all that is on offer this time. This was my answer to Grzegorz Kolodko, Poland’s Minister of Finance and First Deputy Premier for the Economy (1994-97 and 2002-03), when in the mid-‘90s he asked me – his adviser sponsored by the European Commission – for an opinion on the feasibility and desirability of introducing a flat tax. I recommended instead a reduction of indirect taxation and the introduction of a tax on capital gains. To his credit Grzegorz listened to me on the flat tax, he reduced the number and level of marginal tax rates but at the same time he raised public expenditure on investment and on re-distribution, introduced an industrial policy that did not seek to pick winners but promoted high value added and export activities, and his package worked well. The introduction of a flat tax has become a major issue in the policy discussions on the eve of Italian elections, as it is being vigorously propounded by Silvio Berlusconi and the leaders of his right-wing coalition. My views on the flat tax have not changed at all in the the intervening years. 2) lower taxation would encourage the emergence of activities that at present evade taxation, and therefore raise additional government revenue in that way. According to established legend (Wanniski 1978) in 1974 Arthur Laffer, then a professor at Chicago University, drew the curve named after him, depicting tax revenue as a function of the tax rate, on a napkin at a dinner in a Washington restaurant to illustrate the effects of President Ford’s tax cuts. Except that he did not draw it on the basis of empirical evidence, but simply noting that for a zero tax rate tax revenue would obviously be zero, and assuming that for a 100% tax rate there would be a zero revenue because nobody would work or invest for a zero after-tax return. He also presumed that there would be a continuous parabolic shaped curve in between those two points and drew a maximum around a 50% tax rate. Thus you could obtain the same tax revenue with a low tax rate on a large tax basis or with a high tax rate on a smaller basis. Laffer (2004) acknowledged that already in the 14th century the Tunisian philosopher Ibn Khaldun had noticed this possibility, which had also been asserted by many other thinkers including Keynes: “… taxation may be so high … that … a reduction of taxation will run a better chance than an increase of balancing the budget” (quoted by Laffer). The trouble is that actual empirical estimates of revenue-maximizing tax rates have varied widely, with a mid-range of around 70% (Fullerton 2008, which fits with the “so high rate” stipulated by Keynes), while current tax rates in OECD countries average about half that rate. So much so that the IMF Fiscal Monitor of October 2017 actually recommends raising tax rates in a progressive fashion in order to reduce current excessive inequality of income and wealth, for “There is little evidence that increased progressivity reduces growth”. More importantly, a 100% flat tax rate is plainly silly, for a progressive tax can reach fairly high marginal rates, historically even 90% and higher, without ever yielding a zero tax revenue. Indeed it has been argued that the Laffer curve might well be increasing monotonically, and in any case even a flat tax of 100% might yield substantial revenue in special circumstances like wartime or even in normal times depending on behavioural assumptions. As for the second argument in favour of a flat tax, there is absolutely no evidence that a low tax rate – flat or not – encourages the payment of taxes otherwise evaded at higher rates. And why should it, as Schumpeter put it there is no good reason for anybody not reaping a benefit just because it is small. Critics of a flat tax lament its lack of progressiveness. Supporters – such as Berlusconi – are quick to point out that in most OECD countries, including Italy, there already is a flat tax on capital incomes, at a constant rate lower than the higher progressive rates on earned incomes, so that a uniform flat tax levied at an intermediate rate would be more progressive than the current system. And anyway the presence of a tax-exempt threshold maintains a degree of progressiveness, as required for instance by the Italian Constitution, art. 53; “The tax system shall be progressive”. These answers to critics of the flat tax lack of progressiveness are not good enough, because the first comma of art. 53 states also that “Every person shall contribute to public expenditure in accordance with their capability”. The progressiveness of a flat tax is minimal, depending exclusively on the size of the tax-free initial threshold, and may be regarded rightly as constitutionally inadequate: the average tax rate rises slowly approaching gradually from below the flat fixed rate on taxable income, and significant progressiveness would only be achieved for extremely large tax-free thresholds, counterproductive for tax revenue. The corresponding reduction in the current progressive tax on earned income would not benefit ordinary workers but only overpaid managers, making after-tax distribution of earned incomes more unequal. While the reduction of current excessively high levels of public debt, as well as the reduction of excessive degrees of inequality of income and wealth, are best served by a genuinely more progressive tax system of the kind recommended by the IMF (2017). On 24 January last the Washington Post reported that Mike Hughes, a 61-year limo driver from California and a flat-Earth strong believer, has been planning to launch a self-built rocket to propel himself 52 miles into space in order to be able to see for himself that the Earth is flat, for “in many months of research I’ve not been able to prove otherwise” – he said. The trouble is that the project would cost 2 million dollars to finance the building and fuelling of the rocket, a space-suit and a hot-air balloon (Mike Hughes is a bit vague about his logistics), and he was only able to raise $8,000 from GoFundMe. As he now has a fellow flat-Earther in billionaire Silvio Berlusconi, it would be best for Silvio to fund the project in exchange for a lift in the same rocket, and all will end well both in California and in Italy, in the best of all possible worlds. Trabandt and Uhlig (2019) estimate the Laffer curves for labour taxation and capital income taxation for the US, the EU-14 and individual European countries for 1995-2007. They find that the US can increase tax revenues by 30% by raising labour taxes and 6% by raising capital income taxes. For the EU-14 they obtain 8% and 1% respectively. Germany could raise 10% more tax revenues by raising labour taxes but only 2% by raising capital taxes. The same numbers for France are 5% and 0%, for Italy 4% and 0% and for Spain 13% and 2%. Only Denmark and Sweden are on the “wrong” side of the Laffer curve for capital income taxation. In the latest Italian elections the Lega proposed a Flat Tax at 15% over the €7,000 tax-free threshold (plus minor further exemptions on households), while Berlusconi proposed its introduction at 23%. According to the Lega their flat tax would create an initial shortfall of €63bn (i.e. €103bn tax revenue from households and €18bn from companies instead of the combined current tax revenue of €184bn from IRPEF-IRES). They propose to cover this shortfall first of all from 25 expenditure cuts and additional taxes (including €5bn savings on centralised public procurement, €2,5bn on military expenditure, €5bn tax increase on gas prospection, €900mn from abolition of interest charges deduction by banks and insurance companies, €800mn for official cars abolition for hospitals, €700mn cuts in "golden pensions" (of dubious constitutionality). The bulk of the coverage would come, however, from the emergence of the black economy, reduced tax evasion, additional VAT and income tax on additional transactions and incomes expected from the tax reduction. Pie in the sky. International Monetary Fund IMF (2017), Fiscal Monitor: Tackling Inequality, October. This is the question asked by Thomas Piketty in a recent presentation on “Brahmin Left vs Merchant Right: Rising Inequality and the Changing Structure of Political Conflict - Evidence from France, Britain & the US, 1948-2017 (February 2018). His answer, which is documented by very extensive and useful data, is fairly complex but it could, in a nutshell, be summarised thus: in the '50s and ‘60s the Democratic Party in the US and social democratic parties in Europe were supported by a variety of voters characterised by low education and low income. Globalization (by raising the issue of internal and external inequality) and the expansion of education (creating educational inequalities next to wealth inequalities) have created new multi-dimensional conflicts about inequality and redistribution. Democratic regimes – answers Piketty – have failed to reduce inequality because "without a strong egalitarian and internationalist platform, it is unlikely that voters by low education and low income will all vote for the same party. The division between racism and nativism is a powerful force that divides the poor in the absence of a strong unifying platform. Politics has never been a simple conflict between the rich and the poor; we need to look more carefully at the content of political cleavages." Piketty argues that since the '70s and' 80s a political system has evolved that pits two transversal coalitions against each other: the intellectual elite of left wing Brahmins against the business elite/merchant right, both sharing the divided support of a working class whose interests are radically different and are not reflected in the parties. i) to adopt a brush as broad as does Piketty is to empty much of his argument to rest upon historical and particularly statistical data available. ii) comparative politics can be useful but arbitrary lumping-together of very different political systems and cultures because of accessibility of chosen data sources leads to incoherence not to affirmation of a thesis. iii) the same goes for taking very long data series and arbitrarily cutting them off within his time terms of reference. So what has he achieved? He has produced a hypothesis, reflecting journalistic speculation, that the voting behaviours of electorates formerly possible to analyse in economic and class terms have altered across groups; this is causing the collapse of parties of the Left which he views as rooted in common economic and class interests. Electorates are no longer voting for donkeys wearing a red rosette. Electors in positions of authority are no longer voting in their economic self-interest. Neither of these theses are correct; nor does the statistical, behavioural, historical evidence demonstrate that there is any past time in which they were. Piketty picks and chooses his way through his data to show that they were but the clear association of change brought about by revolution, war, or some socio-economic or other catastrophe, is telling. iv) identifying a Piketty-esque Europe as Europe leads to warping of supporting evidence for his thesis; so does using United States data (size, lack of common history, slavery, just for starters; I could go on - that there is no 1945 break for the US as there is for Europe, that the living standards of the US and those of Europe are too far apart for long periods even within Piketty's dates...). For Piketty Europe is the European Union, and mostly France at that. Even within this narrowing of the study where is the data on Germany, Italy, the low countries, the East, the far North? He should drop the US and start considering real Europe, not the EU. There is a European community of culture, experience, economy and development, although that Europe tends to exclude the second of his data sources, the United Kingdom. v) Data series for the UK go back much further than for continental Europe; those on which Piketty relies can be produced from at least the beginning of the eighteenth century and many from the seventeenth and even earlier, both for electoral behaviour and for collections of data on conditions of life, state-organised welfare systems, educational records, health systems, social and work-related housing - the panoply of the modern welfare state is present and recorded. Its roots make the electoral results of July 1945 the product of victory in war not the poverty of defeat as experienced by continental states, including France despite their pretences. And as soon as the war economy had served to complete the installation of the redistribution that had been taking place for centuries in the UK, even if overshadowed by the Depression in the ‘20s and ‘30s where it had been fully used and available, nevertheless, the 1951 general election swept the Labour government away. The UK returned to something very similar to the redistributions that had been taking place for a long time, shedding the role of the state always associated with authoritarian regimes of Left or Right. The redistributive role of an extensive welfare state was fully accepted by all political groupings, there was no post-War watershed as there was in continental Europe (where populations were widely illiterate, still working the land and often as share-croppers, and urbanisation and modern industrialisation was still to come despite the best efforts of Left and Right). Labour never recovered, and Margaret Thatcher moved every aspect of the state's role in government on to other ground that socialism or capitalism choices, as Blair's electoral success confirmed. So, in many ways Piketty's use of UK data is as inappropriate as his use of that of the US. He wants to tie together some kind of factual link between 'want, disease, ignorance, squalor, and idleness' and voting Right: what the UK data show is not that. The Five have been tackled and defeated and the people vote Right for aspiration, self-fulfilment, the barring of the Five's reintroduction into their countries via third-world immigration, and a continued growth in their living standards and capacities to learn and achieve. Yes the decline in voting for Piketty's Left is terminal for electorates have moved on as he and his Left have not. Political parties are re-grouping, that is very clear, but they regrouping to defend the people and their life-styles against out-dated ideologies of deprivation in all its forms. Tony Judt spoke of 'ideological over-commitment' (although in another context, that of Israel, much of his work on France and the French Left embodies this critique); Piketty would benefit greatly from reading (or re-reading) Tony Judt. Another book he might add to his to read list is: Robert Trelford McKenzie and Allan Silver, Angels in marble; working class Conservatives in urban England, 1968. Rovny is ponced-up Piketty. There is a flat refusal to accept the role of Conservative working people in the construction of organisations, in institutions, in governance that has been present always (i.e. since records in the Piketty form) have been available. It is the securing of decent wages, the legitimising of trades unions, the achievement of access to health care, the educating of every child to competent literacy and numeracy, the universal suffrage, pension support in old age, insurance, ... all the stuff the Left claims - it is all the product of skilled working people and the arrangements and agreements they have set in place over the centuries yes, centuries in the case of the UK. The ideological Left cannot cope with the truth of this. Their function has been to create revolutionary, i.e. war-like shocks that disrupt so much there must be destruction and then a settlement. If the Left cannot produce a revolution then the Conservative working class can manage much better without them. And often better than with them frankly. There has to be technical backwardness, widespread illiteracy, gross deprivation of democratic governance, low life expectancy, and the general presence of the Five before revolution and the Left is required. 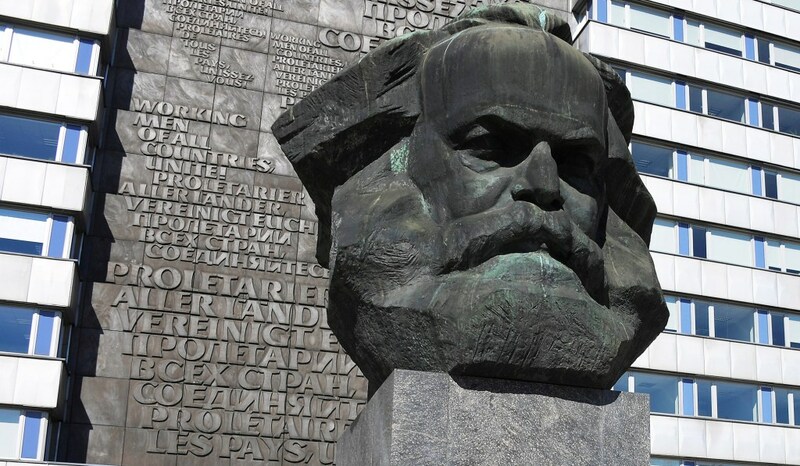 Europe has been revolutionised and warred into what the UK did with working class conservatism (admittedly after the 17th century revolutions as a start-up shock, but that is a very long time ago) since capitalist industrialisation and urbanisation. Even the localist organisations listed by Rovny are the result of municipal conservatism – why do you think it's modern Labour that individualises the social consumption of social provision, or closes pools, libraries, parks, evening classes etc. etc? The Left is ineffective and very ugly. Unless there's a revolution or a war to be raged.